Planning a Walt Disney World vacation can be tricky and time-consuming. You really have to know the ins and outs of planning a vacation before you even get started. Dining at Disney is a very important aspect of that vacation. Let’s start with the basics. If you are staying at a Walt Disney World Resort you can make dining reservations at 180 days plus 10. What that means is that when you are 180 days from arrival you can make all the reservations from that day through 10 days of your vacation. Say you are arriving on January 1 until Jan 10 you can make all your dining reservations in a single day. The difference in staying offsite is that you would have to make these reservations each day as that 180 days arrives. Having these bonus 10 days means that you can make all your reservations at once and reach into the tail end of your vacation to get the restaurants and times you want. But knowing which restaurants are most popular can help you prioritize which reservations to get. Be Our Guest This is Disney newest restaurant which is Quick Service for breakfast and lunch and Table Service for dinner. Cinderella’s Royal Table- Still so popular with little ones and adults alike, everyone wants to eat in Cinderella Castle! Le Cellier- While not nearly as popular as it once was this restaurant is probably the hardest to get reservation in Epcot but no need to worry there are plenty of choices in this park! Hollywood Brown Derby- This is Disney nicest restaurant in Hollywood Studios if you are looking for a nice night out this is the place to go! Hollywood & Vine Play and Dine- Very popular with the Disney Junior crowd this is a character meal for breakfast and lunch featuring: Doc McStuffins, Jake, Handy Manny and Sofia the First. Tusker House- Another popular character meal featuring Mickey and friends in safari gear. Chef Mickey’s- Character meals are so popular and this one with Mickey and friends in chef outfits that so many people are clamoring to get this reservation. California Grill- A popular one with adults, this one has delicious food and a fantastic view of the Wishes Fireworks! ‘Ohana-Breakfast is a fantastic character breakfast with Lilo, Stitch, Mickey and Pluto. Lunch and dinner are also a great meal served family style. It is not to be missed. 1900 Park Fare- If you are interested in breakfast with Mary Poppins, Alice, the Mad Hatter, Tigger, and Winnie the Pooh. Then there is the Wonderland Tea Party in the lunch time. For dinner the Happily Ever after Dinner with Cinderella, Prince Charming, the step mother and step sisters and you won’t want to miss their antics! Of course if you have further questions you can always talk to your travel agent for suggestions and help! It surprises me how many Disney travelers that I meet that have never heard of Disney’s “Tables in Wonderland” program. I truly find this to be one of WDW’s hidden discount perks and one that could save you a lot of money and convenience if it’s right for you. 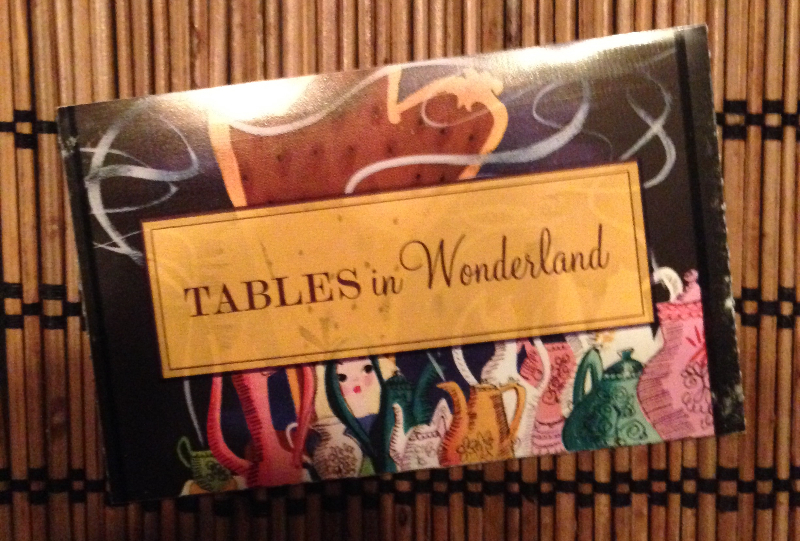 For those who do not know, the “Tables in Wonderland” is a card you can purchase if you are a Florida Resident, Annual and/or Seasonal Passholder, or a DVC member. The cost of the annual card is $125 for Florida Residents and $100 for Annual or Seasonal Passholders and DVC members. There are some great benefits to having this card that I wanted to go over as well as some of my own experiences from using the card. The main perk is that the card offers a 20% discount on food and beverages (including alcohol!) at over 100 participating restaurant at WDW. This includes the parks, resort hotels and Downtown Disney locations. Considering how much you spend on dining at WDW this can be a great savings! I find that the majority of the restaurants accepting the card are table service restaurants, while there are a handful of quick-service restaurants are sprinkled in (however I am not complaining because the table service restaurants are the more costly). Another great advantage of this is that the 20% discount applies to parties of up to 10 people (including yourself). I personally have had the chance to be able to use my card on several trips where I had gone with multiple parties and we all had the chance to dine together. One time was for the Princess Breakfast at Akershus Royal Banquet Hall in EPCOT for a party of 7 and the other time was at Be Our Guest at the Magic Kingdom for a party of 9. Trust me, when I was able to save everyone 20% on their meal it was a ‘magical moment’! Now you do have to keep in mind a couple of things. According to their policy when you using the discount “everyone has to be on the same check” and “the Tables In Wonderland member has to pay the bill”. Honestly I have seen the “member having to pay the bill” enforced sometimes and not at other times. But my suggestions is just to have a quick conversation with everyone prior to the meal to figure out that if you do have to pay for the meal who gives you money, etc.. Another thing to keep in mind is that by using the card an 18% gratuity is automatically added to the bill. I have never had an issue with this and actually find it convenient as there is not going back and forth on paying the bill. Another perk that Tables In Wonderland offers is free valet and theme parking for dining purposes. If you are renting or have your own car I find this to be a great perk as valet parking at the Disney resorts is $20! On my last trip we used Tables in Wonderland and dined at 3 Disney Resorts (so in addition to saving 20% on the meal we saved $60 in valet parking fees!). There are a couple of items that you want to make sure you are aware of with Tables in Wonderland. The first is that there are blackout dates! The card cannot be used on: Mother’s Day, Easter Sunday, 4th of July, Thanksgiving Day, Christmas Eve & Day, New Year’s Eve & Day. In addition to these dates several of the very popular table service restaurants have some additional blackout dates so make sure you check out www.tablesinwonderland.com for these specifics. The other very important thing I have learned is do not LOSE or FORGET your Tables In Wonderland card! You have to have your card with you to use the discount (they will not look it up for you) and if you lose your card you have to pay $50 fee to get a replacement one. I know this for a fact because prior to one of my last Disney trips I had put my Tables In Wonderland card in a very safe location in my house and then proceeded to leave it at my house while I was at WDW. So $50 later I learned a valuable lesson (but it was still worth it to have the card!). As long as I have my annual pass I will continue to get Tables in Wonderland – it’s a great hidden perk that if used the right way can save you big time on your dining at WDW. Enjoy!